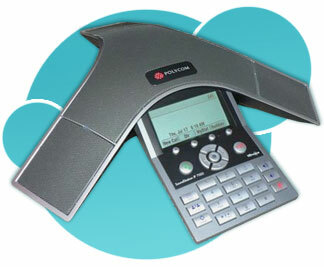 Polycom Soundstation: Superior Sound Quality! 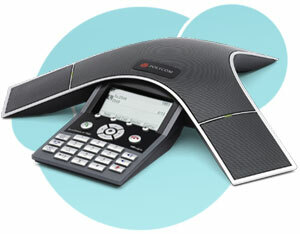 SoundStation's three microphones and powerful, digitally tuned speaker provide full 360-degree coverage, whether you use the system in a conference room or your office. 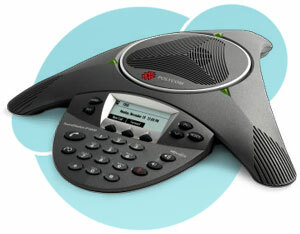 The built-in keypad looks and works like a touch-tone telephone, offering such handy features as a mute button and flash key. There's even a jack to plug in a tape recorder.